Or, without the metaphor: the best ways to play imports. I'm sure we all know about mod chips, but what I'm interested in is soft mods- ways to play imports without permanently altering your console. Even if it doesn't produce a fully region free system, a good soft mod can expand the library of even the least technical game player. Sometimes though, it can be hard to figure out if there's a soft mod option available for your system of choice- so, here's a thread to start gathering that info. So, first off- with the exception of the 3DS, all handhelds as well as the 3 current systems are region free without any effort on the player's part. In fact, the current consoles & the vita will, for certain games, automatically translate into the language of the console regardless of the game's origin. For example, if you put a Japanese copy of I Am Setsuna into an American Switch, it'll play in English. It's a handy thing! For older disc based consoles, some systems have freeloader programs available. These use boot discs/memory cards/both to allow you to run imported software, with the caveat that you have to use the device every time you boot the imported game. The Saturn's action replay is a very useful freeloader, since it occupies the memory card slot & you don't have to go actively swap discs. Action replay also makes a boot disc for Gamecube, and there's plenty out there for Dreamcast... but I can't seem to get a clear answer on there being options for PS1/PS2. I occasionally see things on a 'free McBoot' for playstation, but no clear instructions on where to get it or how it works. Anybody know? For cartridge based systems, it can get interesting... usually, the only thing stopping an American system from running Japanese games & vice versa is the physical shape of the cartridge itself. In the case of the SNES & N64, you can remove a couple plastic tabs in the cartridge slot to defeat the lockout. On the N64, you can buy a replacement cartridge tray if you don't have the tools to make the mod (or don't want to), but I've yet to see the same for the SNES- probably becuase it's a far more complicated swap. NES consoles have more connectors than famicoms, but a simple converter lets you play games between systems- some early NES games actually have the converters in them, you just have to open them up. Genesis is where I get a little fuzzy, as the region lock wasn't consistent across all games, so I'm not sure what's definitively needed. With older games, you have to deal with the PAL vs. NTSC factor too. It doesn't effect US/Japan swaps- they're both NTSC. European systems, however, use the PAL video format which isn't compatible with NTSC. Sometimes it just affects game speed, but sometimes it doesn't work at all. 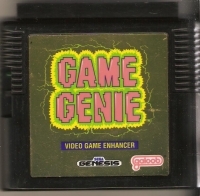 I'm under the impression some game genie-type devices can fix this issue, but I'm not sure. So, what do you guys know about playing imports? I've love to know some more ways to try games from other regions! I've been trying to get into imports lately. FreeMcBoot, I want to say there is a website/wiki where you can get the code, but to get the code onto a memory card requires a CodeBreaker or something that lets you load saves from USB. I'm sure there are alternative methods, but that's how I did mine. I managed to get a bootleg PAL version of Xena running on my NTSC-U PS2 which was neat. I also forked out the like $10-20 for a PAL<->NTSC converter so I wouldn't have any issues. I've not really played with the Saturn though. 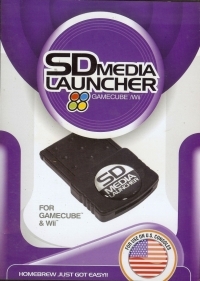 I have an action replay and a gameshark, but I might wind up buying a preloaded device off of ebay because there is a seller who makes a pretty decent one that is an all in one. Has memory storage, expansion, cheats, and the hack all in one device. I've read the softmods on 3DS is pretty easy and makes it region free, but I've not looked into it. I have found, that the best way to play imports (at least Japanese games) is actually using the actual console. By that I mean, using boot disks or cartridge adapters are fine, but my view on that had all changed as soon as I bought a Japanese Saturn to play games on that wouldn't normally work without using a ram cart on my US Saturn. PAL games fare thee well. Frankly I have not really got any true PAL EU games, most EU games I have are on PC which has nothing to do with television standards. Most of the games I would buy on Saturn would need to be imported so this accomplishes that need. It can play EU and JP games on my PS2. It's go it's own region breaker on the disc plus you can run Swiss with it to play imports as well. Personally, I'm fascinated by what these systems can do with no modification, in terms of video quality and the games they can play with the right devices. For N64 you don't have to cut the tabs you can just use a game shark. It's not the cheapest option, but I choose to buy the original Japanese hardware for playing imports. Luckily I've only needed a Japanese Saturn and PS2 for some of the games I'm interested in. I do have some Japanese N64 which I get around by swapping the backs of the carts with NTSC-US carts. Luckily region locking is no longer enforced on most newer consoles so I get imports on those without issue of how to get them running. With all that said I do use a DCX to play Japanese Dreamcast games, but eventually I plan on getting a Japanese Dreamcast too. 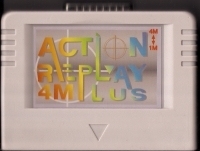 Check your Action Replay before buying a new thing- most of the Saturn ones should actually be just that kind of 4-in-1 device. Mine is! As one may imagine, almost all of my consoles are Japanese, so for me, to play imports means to play games released solely in the West, or that can be find for much cheaper there than around here. To play Western Mega Drive games, I just opened the console and cut the piece of plastic that works as a region blocker. Since the Japanese Mega Drive's cartridge slot is shaped like a rectangle, games from any region will easily fit in it. To play Western Master System games, I used to utilize either my European or (preferably) my Brazilian console, however since they both work on PAL and Japan uses NTSC-J, it was always a pain to connect them to the TV. So, in a recent trip to Brazil, I bought a Tectoy Master System Converter and, since my Mega Drive already accepts cartridges from that region, nowadays I just use it to play my beloved Master System games. To play Western PlayStation and PlayStation 2 games, I have two PlayStation 2 Slims modded with Matrix Infinity (also bought in Brazil as, over there, it is almost impossible to find non-modded PS1s and PS2s) modchip that allows me to play games and watch movies from any region. As for Nintendo... I simply don't care.